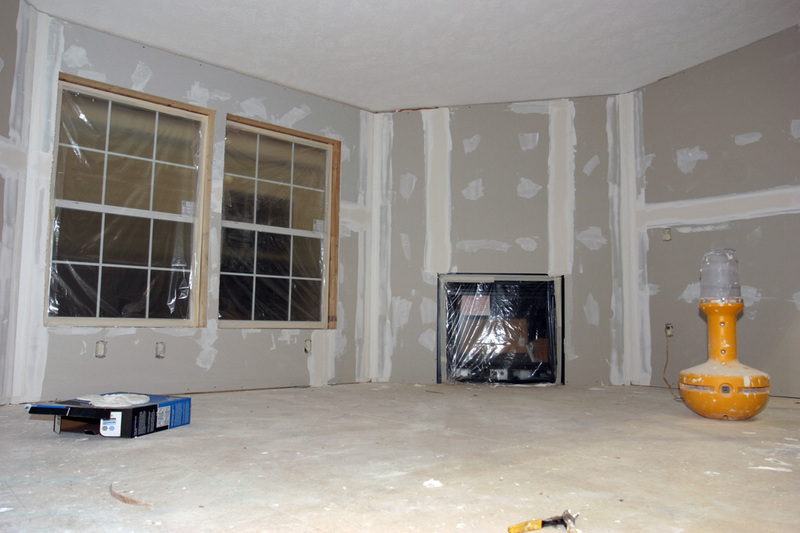 If you have drywall that looks like it is in need of repair, it is recommended that you phone in a professional. People like Lloyd Claycomb will be able to tell you just how bad the damage is, and what can be done. However, if you have some experience as a DIY-er and you feel confident about the fact that your drywall only needs a repair, then the following tips will be of benefit of you. Start by taking sufficient joint compound (or mud) from your plastic tub with your knife, scraping it into your mud pan. In so doing, you will keep the compound fresh, stopping it from drying out. Essentially, you should use the mud you took out within 10 minutes, or it will start to clump and dry. Work the compound backwards and forwards for a few minutes, as if you are kneading bread dough. This takes any remaining air out, preventing bubble formation. Apply a little bit of the compound to the dent or crack. Scrape it flush with your knife. Leave to dry and apply a second coat, then a third coat. Do not apply it too thickly, as the surface will not be even. Leave your compound to dry. How long this takes depends on which mud you use, how thick you applied it, and how much of it you applied. The humidity and temperature of the room in which it was applied. You can accelerate drying time by using a hair dryer. Once it has properly dried, put a drop cloth underneath the repaired areas, because things are going to get messy now! Use your sponge to fully sand down the area that you have fixed, so that it becomes flush with the rest of the wall. Wear a mask and consider having someone with you to vacuum the dust as you are sanding. Use a damp cloth to wipe down your repair, so that no dust remains. You can also ‘wet sand’ it, which will make it look even smoother. With your paintbrush, cover your repaired area with a light coat of primer. This will make sure the joint is completely sealed. It will also hide the area that is being repaired and will make it ready for painting. Paint not just the area that you have repaired, but a wider area as well, as this will make the difference less obvious. Last but not least, you should be ready to take a step back, look at how well you have done, and give yourself a pat on the back. This is possibly the most important of the nine steps!